We often hear from customers wondering how our frame straightening process works, and more importantly, whether or not they need it for their car or truck. To help answer some of those questions, we wanted to provide insight into how our auto body frame straightening process works and why it’s important to the repair of your vehicle. 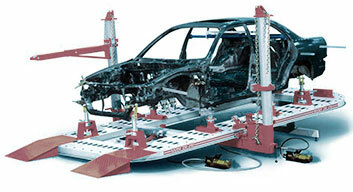 Frame machine is used to restore the frame to its original shape and specifications using hydraulics and torque. These machines allow us to pull or push the frame to straighten it back to its original specifications. At LAB, your car repairs are not only performed using these frame straightening machines, but we take it one step further with industry-leading technology like our laser measuring system. 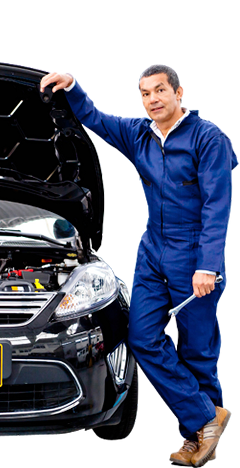 This technology is combined with the expertise of our auto repair technicians. A key innovation to auto safety in the last few decades is the crumple point. Crumple points are areas of a vehicle that are designed to crumple and crush in a collision, absorbing some of the impact’s energy from being transmitted to you and your passengers. These crumple points result in less fatalities to people, but they also mean more damage to vehicles in low speed collisions. Even if you don’t think your accident was severe enough, you should still request an inspection. There may be thousands of dollars worth of damage you are not aware of. After a car accident it’s common to wonder if your car will ever be the same. If you’ve recently been in an accident, even a low speed collision, call us today (847) 982 1980. We have the technology and the expertise to get your vehicle is the best possible condition.